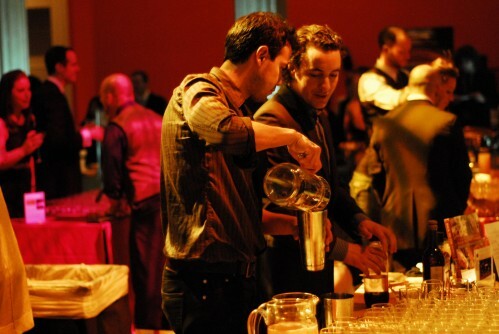 ARTINI 2011, image courtesy of the Corcoran Gallery of Art. Photo credit: Ben Droz. A gala that combines almost all of my favorite things – parties, drinks and art – into one glamorous mix? Always fantastic. 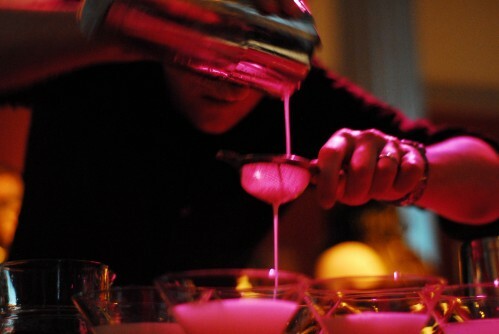 Get ready for the fifth annual love affair of cocktails and art that is ARTINI. Presented by the Corcoran Gallery of Art and College of Art + Design’s 1869 Society and sponsored by Washingtonian, while the actual gala is a month away on Saturday, March 31, the competition itself starts next week. Twelve (Eleven as of 3/27, see update**) of the top mixologists in the city will showcase their talent and creativity in a unique way – by crafting cocktails inspired by works of art in the Corcoran collection. Last year it was an honor to serve as a judge on the Critic’s Choice panel; this year I’m happy to just kick back as a partygoer. Tickets are now on sale and do sell out quickly, so snap yours up – $95 for 1869 Society members, $115 for non-Society members. All proceeds benefit ArtReach, the Corcoran’s educational outreach program, celebrating its twentieth year of visual arts education for local students. Sample the entries all March long as the twelve** participants roll out their artistic cocktails at weekly Feature Nights starting next week and continuing every Tuesday, Wednesday, and Thursday until the event. Our dedicated team of WLDC lushes – Brittany, Fedward, Moses and myself – will attempt to report on as many of these drinks as possible throughout the month. Look for our round-ups in the weekly Friday Happy Hour! Now that we have all the details out of the way, I wonder if I have any predictions? Participating this year are AGAINN DC**, Ardeo + Bardeo, Art and Soul, El Centro D.F., Founding Farmers, The Gibson, Jack Rose Dining Saloon, Oyamel Cocina Mexicana, P.O.V. at the W Hotel, The Passenger, Smith Commons, and Tabard Inn Restaurant. The list is nicely split between six returning and six new venues. The returning top three** from last year – Ronald Flores of Art and Soul (first in both Washingtonian‘s Fan Favorite and Critic’s Choice), Brent Davis of AGAINN (second in Fan Favorite and third in Critic’s Choice),** and Joe Ambrose of P.O.V. (second in Critic’s Choice) - will no doubt bring it, and I expect nothing less from these very creative and thoughtful crafters of liquid art. But my top prediction for ARTINI 2012 is: Cherchez la femme. This year sees the total number of female contestants raised from two to three, with Rachel Sergi of Jack Rose Dining Saloon and Alexandra Bookless of The Passenger joining Chantal Tseng of Tabard Inn to the competition. Never underestimate the power of these three madcap ladies, equally capable of bringing an artistic sensibility to both taste and appearance in their drinks. They create witty, quirky, bold concoctions, and I’m betting their drinks will be top contenders. One of the joys of ARTINI is getting to know the inspiration pieces for the cocktails. This year sees four sculptures – mixed media, bronze and marble – and eight paintings. I’m always fascinated by the sculptural entries and whether they inform the drink creation differently than the paintings. Last year’s winner was inspired by a mixed media, so we’ll see if that luck wears off on this year’s cocktails inspired by sculptural pieces – Davis**, Bookless, Frank Jones of the Gibson, and Tseng have that challenge. So, let the artsy drinking games begin! Join us each week at the Feature Nights and every Friday for the ARTINI Happy Hour round-ups, where we will recap each cocktail and the corresponding inspiration artwork. Check in and let us know your thoughts on your favorites as well! Vote for the Fan Favorite on the Washingtonian’s website.